Arrived 6/17/16. Chasing away all others! 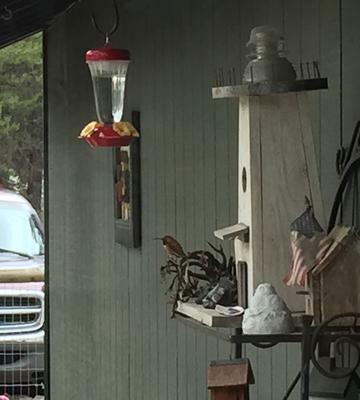 We have 3 feeders around the house, we have one hummer I refer to as the Little General, he chases the other two away. In the mornings I love to sit and watch them. I see photos with several birds feeding At the same times, that is not the case here. We have the ruby throated. Is this normal with hammers? We are in East Tennessee.